The letter P is so fun to learn as a preschooler! There are so many awesome activities for kids when you’re working on this letter. Want a book list? Here is a collection of 20 amazing books children must read as you are teaching this letter. Take this list with you to the library and check them out. If you want to learn more about each book below, or the authors, click through the links and read more about them over on Amazon. This will help you when making your book list. Or, just buy them on Amazon. Most of them are Amazon Prime listings and you will get free shipping if you’re a Prime member. 2.The Pigeon Needs a Bath! What is your favorite book to read with your little one while you’re learning the letter P? 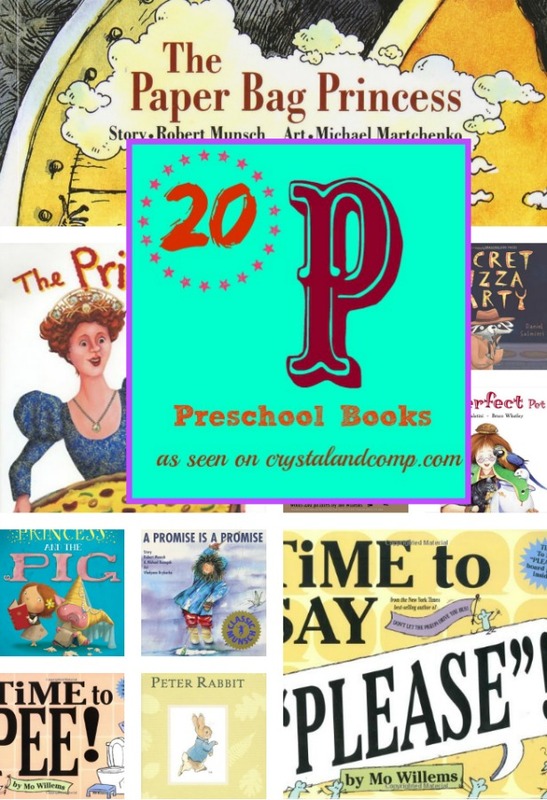 My son is studying the letter ‘P’ this week at his child care’s preschool program and so I have been looking for ‘P’ books to read to him. I really like the idea of getting a book about pizza or pirates, because I think that he will really like learning from those books. I also think that I’ll take a look at some of the snacks and activities that we could do with him as well.